HomeExchange Gold for a more personalised service is for those clients wishing for excellent service and a five-star property swap. The Gold membership offers support to help members find the right home-swap for them and these specialists can be reached by phone, email or chat anytime and from anywhere and also has the standard HomeExchange guarantee of unlimited-no-extra-fee exchanges across the world. 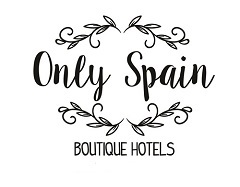 Spain has always been a popular short-haul destination and is ideal for families with only a short flight time from the UK and this year with flights from London to Granada again the options of location are more than ever. There are currently 4,213 homes listed in Spain, out of those 1,643 are second homes and 1,147 are open to a long term exchange. If you travel with children there are many exchanges available to you – 2,072 are families with children and 2,510 are apartments. Not only does the HomeExchange Gold premium service include the Specialist’s assistance in finding your ideal swap but in optimising profiles and listing your for maximum exposure. So when time is short and preferences or special needs are important then just call on the team for your own personally curated listings. HomeExchange Gold members have a choice between connecting exclusively with fellow Gold members’ properties or making their listing visible to the entire community. “Luxury today is about personalisation, on-demand service, flexibility and freedom of choice,” said Peter Anton, Director of Global Marketing and this is why the higher level of service was added. Clients now have the choice between the original membership or the upgraded Gold membership and whether to offer their own property to all members or only Gold members. An exciting move in home-swapping which if you have never done, I recommend you give a try. Last summer I went, with my sons and their girlfriends to a gorgeous urbanisation with the largest swimming pool and surrounds I’ve ever seen just ten minutes walk from Marbella’s Puerto Banus. Swaps can be simultaneous or not, making it easier to find where you want to go without the other party having to travel to your home and at the same time. HomeExchange now offer a point system of ‘balloons’ earned by hosting someone without travelling yourself and then you can use your ‘balloons’ to travel to the destination of your choice and when you want. A very easy way to take more advantage of house-swapping and take as many holidays/swaps as you please. Find out more about HomeExchange Gold. Disclosure: This is not a paid/promotional post but one that is interesting to me and I think it is valuable information to share. (My swap last summer was made through a different home exchange company and the top photo is my own from that swap.) The second photo is copyright @HomeExchange.